Sion/Sitten, Médiathèque Valais, S 103: Maître Chiquart, Du fait de cuisine, 1420, fol. 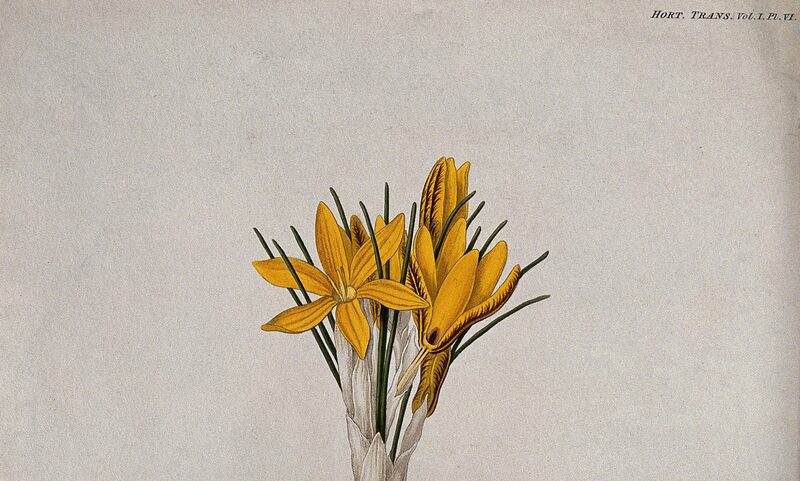 113r (http://www.e-codices.unifr.ch/en/list/one/mvs/cuisine). With the holiday season behind me, I am already reminiscing about my family’s recent celebrations and thinking ahead to next year. I have gathered recipes I would like to try next year, made notes about recipes that worked (and those that didn’t), and listed the menus of the many meals my husband and I hosted for friends and family. When I starting thinking about appropriate topics for a Recipes Project post, I realized this was the perfect opportunity to consider the 1420 Savoyard cookbook, Du fait de cuisine. In it, Master Chiquart Amiczo, the chef of Amadeus VIII, Duke of Savoy, dictates seventy-eight recipes to a scribe, provides an extensive description of how to acquire food and provisions for days of feasting, and records a menu of one particular feast. In October 1403 Chiquart prepared two days of lavish feasts in honor of Mary of Burgundy. Although Amadeus VIII and Mary of Burgundy had been contracted in marriage since 1393, due to a number of political complications the bride had not left her Burgundian home. The feast celebrated her arrival at the Savoy court when she would join Amadeus VIII’s household as his wife. Chiquart’s menu and notes on preparing for a feast describe a much grander event than any I might prepare during the holidays, but the intention is the same: describing a successful event so that one might remember it or even replicate it. Despite being a very accessible medieval cookbook, Du fait de cuisine has had relatively little scholarly attention. This cookery exists in a single manuscript, held at the Médiathèque Valais in Sion, Switzerland (MS Supersaxo 103). While the manuscript has been digitized, Terence Scully has been the only scholar to devote significant attention to the book, producing a French edition and two English editions. Du fait de cuisine is particularly interesting when considered among the larger corpus of contemporary cookbooks. While there are many similarities among the recipes, the surrounding text is remarkably different from most contemporary Continental and English cookbooks. Du fait de cuisine stands apart from contemporary texts in the level of detail included in the recipes. Many fit on a single folio, but others span up to eight folios. Other cookbooks describing lavish entremets, like the Viandier of Taillevent pale in comparison to the description of the final products. Chiquart’s creations of performative, edible art come alive on the page; even without illustrations, it is easy to imagine his castle with four lighted towers defended by various soldiers. Characters breathing fire are part of the creation, as well as a Fountain of Love spouting rosewater and mulled wine. Roasted and redressed peacocks and hedgehogs also make an appearance. As if this weren’t enough, Chiquart’s glorious entremets includes a faux sea filled with ships attacking the aforementioned castle. The entremet is naturally accompanied by a small group of musicians. Each aspect is described in such a manner that it can be replicated, provided that the cook has some knowledge of creating pastry and sugar and meat pastes which constituted the basis of construction. Another difference is a variety of brief texts that Chiquart includes after the culinary recipes. This includes a verse the Chiquart composed to honor Amadeus VIII and his family on fols. 107v to 109r and several other types of brief writings on the final nine folios. These are mainly non-culinary writings, including a verse against the plague, a note on Virgil’s Georgics, and several aphorisms. It is not unusual to find such an array of writings alongside cookery books in late medieval manuscripts, especially in English manuscripts. Du fait de cuisine is unique in its inclusion of these items within the cookbook itself, seemingly at the request of the author, self-described as lacking learning and wit (“n’ay grand science ne sens”). I find these elements one of the most intriguing of the cookery and deserving of much more exploration. A final difference is the menu of the feast in honor of Mary of Burgundy. Many medieval cookbooks provide generic menu suggestions or menus for unspecified events, and many non-culinary records provide menus for historically important feasts. However, relatively few cookbooks include menus for actual events. Amadeus VIII and Mary of Burgundy’s wedding feast was certainly a magnificent affair and a significant event in the House of Savoy. Mary was the eighth child of Philip the Bold, Duke of Burgundy, and Margaret III. Philip the Bold had arranged Mary’s marriage to solidify a political alliance to Savoy in the midst of the Hundred Years’ War. The bride was only seven when her marriage was contracted; she would not arrive at the Savoy court for another ten years. While the alliance was only initially important to the House of Burgundy, the Savoy court benefitted greatly from this alliance. Amadeus VIII needed to welcome his bride to Savoy with all the opulence he could muster. His chef was tasked with preparing two days of lavish feasting to accomplish the goals of proving his wealth and status to his new bride and her family. The fact that Chiquart recorded an account of the wedding feast seventeen years after the event is quite interesting; this is the only specific event the author describes. While Chiquart was evidently asked by Amadeus VIII to write the cookbook as a compendium of culinary knowledge, Chiquart does not provide any reason for recording the wedding events at the end of the cookbook. The menu is also written after what seems to be the original ending, the poem glorifying and thanking Chiquart’s employing household. 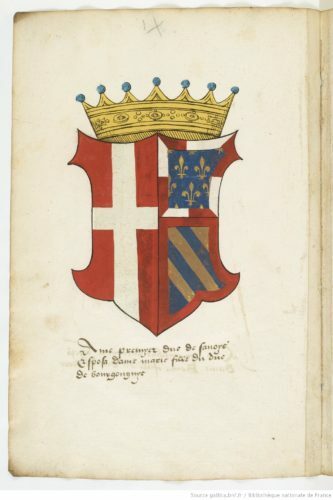 I wonder if it was associated with the birth of Amadeus and Mary’s ninth and final child in 1420; perhaps the pregnancy or birth was particularly difficult, and Chiquart attempted to garner favor with his lord by crafting a glorious recollection of Mary’s arrival in Savoy after his original culinary text was complete. However, my guess is merely that, as the text does not indicate a specific intent. Du fait de cuisine is an imaginative and detailed record of culinary information. There is much to explore in its similarities to and differences from other contemporary texts. For the moment, however, I take heart that some of my post-holiday recordkeeping habits are a bit like Master Chiquart’s. Richard Vaughan, Philip the Bold: The Formation of the Burgundian State (Reprint, Boydell Press, 2002), 89. Terence Scully, “Du fait de cuisine,” Vallesia 40 (1985): 103–231; Chiquart’s On Cookery: A Fifteenth-Century Savoyard Culinary Treatise (P. Lang, 1986); and Du fait de cuisine / On Cookery of Master Chiquart (1420): “Aucune science de l’art de cuysinerie et de cuisine” (ACMRS, 2010). Another French edition was also published: Florence Bouas and Frédéric Vivas, eds., Du fait de cuisine: Traité de gastronomie médiévale de Maître Chiquart (Actes Sud, 2008). Sion, Switzerland, Médiathèque Valais, MS Supersaxo 103, fol. 11r. A couple exceptions are the Ménagier de Paris (multiple manuscript copies) and London, British Library, MS Harley 279.